In a nutshell, personalization is about providing relevant, individualized content. This might take the form of an email, a push or in-app notification, a landing page, or one of many other tactical pieces. Whatever the content is, you should be building and sending stuff customized to your target audience’s needs, actions, and even likes. 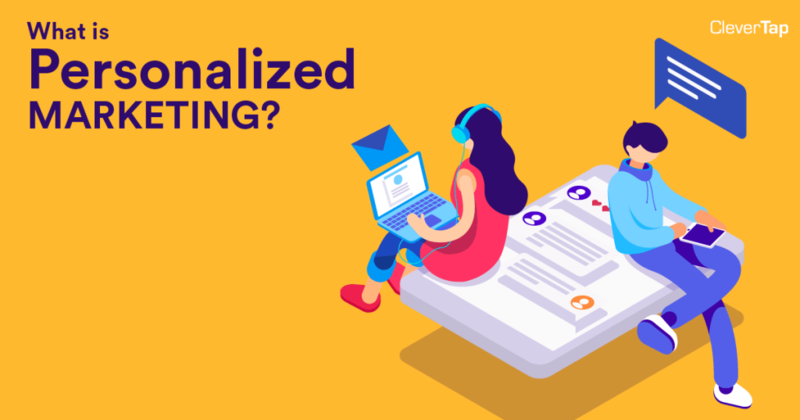 Personalization is also referred to as personalized marketing. Why is Personalization So Crucial to Mobile Marketing? The goal of personalization is to engage users by communicating with them as individuals. Remember that people are receiving and viewing your content by themselves and never as a group. This means your marketing materials should be conversational and should touch on topics that the individual can relate to. It is part and parcel of delivering a satisfactory user experience to your users. The more you are able to give them contextual and relevant content that matches their likes or needs, the better the overall experience. How Does Personalization Work When You Have Millions of Users? The short answer is: user segmentation plus AI and machine learning. Your target audience is typically grouped by likes/values, in-app behaviors, or other criteria. This allows you to send custom messages in larger batches (AKA segments). After all, if you have a user base in the millions, it will be impossible to manually individualize an email to each recipient. Instead, you utilize platforms that have artificial intelligence (AI) and machine learning (ML). That way, your system can automatically categorize your app users into segments, and feed them the corresponding content or offers that fit. AI and ML thus allows you to scale your personalization and engagement efforts. When you send personalized marketing materials, there are three basic effects that occur. You are able to increase engagement, which in turn builds up a loyalty to your brand and your app. Giving up some personal information is a kind of investment for your users. One that sows the seeds of brand loyalty. When your users hand over profile data or personal information, they do so understanding that this will improve their experience using your app. They also look forward to your discounts exclusive content, and other promotions. Using the right tools, mobile marketers can use personalization to pinpoint the segments or channels that are more conducive to purchasing. This means you can focus all your efforts on marketing to the channels and segments that work best for your app. you can then achieve better ROI and drive revenue faster.